Yesterday was mother’s day so I stole the picture too… We were talking about a mother’s love, unconditional love. 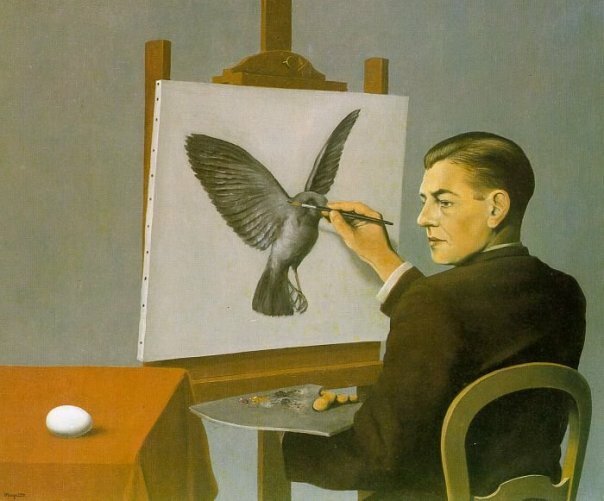 I asked the congergation to wonder if a mother’s love isn’t much like what the atrist was doing in the image, he is looking at egg, but drawing the potential, the future potential, the future profits that come with a new birth. God is awesome in that He does this with each of us, He knows our future potential, He knows we can all spread our wings and fly!